Former lawyer, academic, teacher and librarian, Dr Susan Currie is about to launch a biography on social activist Dr Janet Irwin, a woman who rallied for the use of medicinal marijuana at a time when Queensland was far more conservative than it is today. 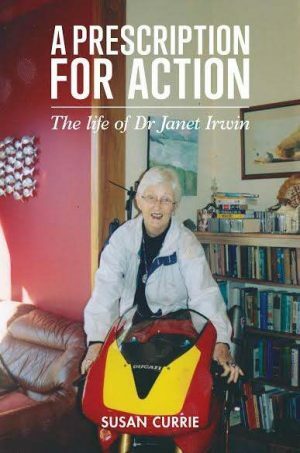 A Prescription for Action: The Life of Dr Janet Irwin – scribed as part of Dr Currie’s PhD at CQUniversity – tracks the life of this remarkable woman who is warmly remembered as a fearless activist on issues of health and social justice. In fact, as many Australian states are carrying out ‘groundbreaking’ trials on medical marijuana, this biography shares the story of a woman – way before her time – who more than 20 years ago proposed that aged pensioners should be able to grow marijuana, both for their own use, and sell it to the Government to supplement their pension. 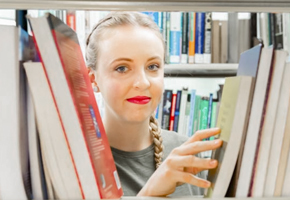 Likewise, as the national body representing Australian universities, Universities Australia, embarks on nationwide campaign to place a focus on campus sexual violence, this book details how the same woman was a pioneer in arranging surveys of sexual harassment at universities and naming it as a workplace health and safety issue. Dr Currie first met her subject when both women were appointed to the Social Security Appeals Tribunal – Susan as a legal member and Janet as a medical member. Janet was in her sixties at the time. “I clearly remember Janet arriving for a tribunal hearing one morning, furious about press reports that someone with a terminal illness had been charged with possession of marijuana,” Dr Currie recalls. And Janet’s remarkable impression on Susan didn’t stop there as her rants continued. “I was fascinated. This was Queensland, the ‘deep north’ of Australia. We had only just been released from the grip of the Bjelke-Petersen government which, for nearly 20 years, had enforced its extremely conservative views on the population and its control on dissidents. Dr Currie thought her own politics could have been considered somewhat radical, but Janet upped the ante considerably. Hence, Janet became the focus of her PhD research, which will be released as a biography at a special launch at Avid Reader bookstore in Brisbane on 20 October. Dr Currie hopes readers will be fascinated with Janet’s life as she is and that they are inspired by her motto, ‘If you haven’t been driven by the passion and the action of the times, you haven’t lived’. Janet was Director of Health Services at the University of Queensland from 1974 to 1988. 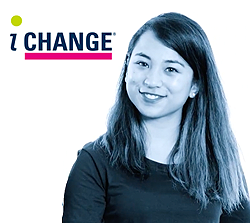 She became Medical Vice-President of the Australian and New Zealand Student Services Association where she successfully secured funding for a national evaluative study of student services. She also lectured in the medical program and successfully campaigned for the appointment of Director of Occupational Health Safety at the university. Under the Hawke Government she was appointed to the Better Health Commission and later to the National Women’s Advisory Council, preparing her for her work as a member of the University of Queensland Senate where she instigated comprehensive reforms on the status of women. Having played a major role in the community campaign against repressive abortion legislation, Janet continued to play at active role in the community after retirement. After the Fitzgerald Inquiry recommended the establishment of a Criminal Justice Commission, Janet was appointed as part-time commissioner. Here she made significant input into recommended changes to the laws on prostitution and cannabis. Dr Currie hopes her portrayal of Janet’s life, is a ‘prescription’ for action for its readers. No stranger to penned works, Dr Currie has authored numerous journal articles, book reviews, short stories and poems. She has also written a textbook on legal studies for Queensland schools, and also seven significant profiles for A Woman’s Place: 100 Years of Queensland Women Lawyers. 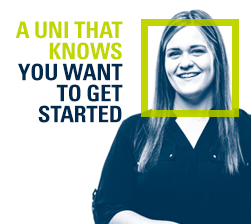 She has degrees in Arts and Law from UQ, a Master of Laws and a Masters of Arts (Research) in Creative Writing from QUT and completed this biography as part of a PhD in Creative Writing with CQUniversity, conferred this year. 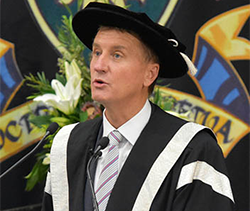 Dr Currie’s Masters and PhD principal supervisor was Professor Donna Lee Brien, Noosa campus.